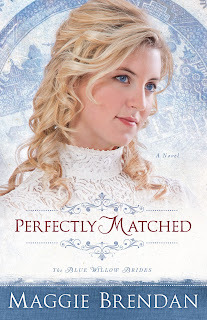 I'm so excited to share with you my new book cover for Perfectly Matched-book 3 in The Blue Willow Brides series. The model looks exactly how I envisioned Anna, the youngest of the three sisters, would look like. As usual, Revell creates beautiful covers and I'm glad to be able to share my ideas for what the cover should look like. It's available for preorder on CBD, Amazon, B&N or your nearest Christian Book store. 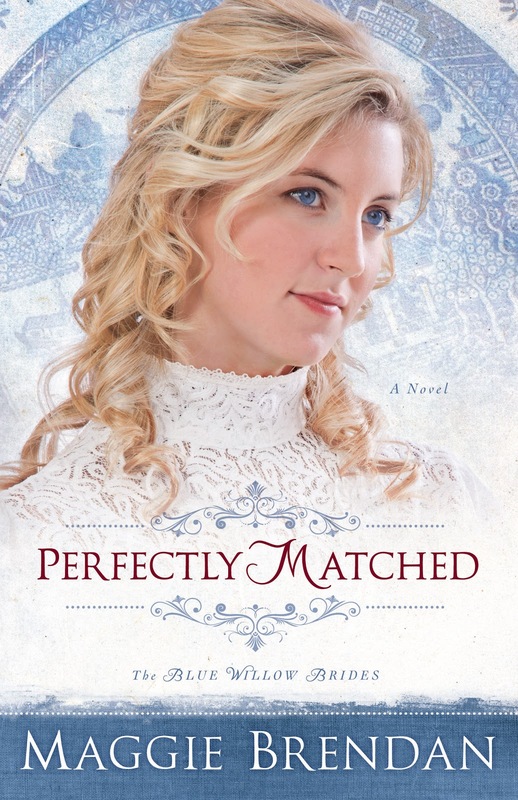 I enjoyed writing Anna's story and all her escapes and I hope you will too. Closer to the release, I'll be having a giveaway. I'm currently working on The Arrangement, my 1st novel in my new series, Virtues and Vices of the Old West. I hope you'll sign up for my newsletter or follow my blog. Spring is just around the corner. Yay! Now back to writing. Hope you all have a wonderful weekend! I have loved reading the first two books of The Blue Willow series and am looking forward to the last one. When will this one be released? I've love your Blue Willow series. I've read both so far and I would very much like to read the new one when it comes out. Sounds like another wonderful book I need to read!